Hi hi! I am swamped and didn't get a chance to take pics of my mani, so here is a quick vintage-y/ look at what is on my nails today! I went with a nautical theme. 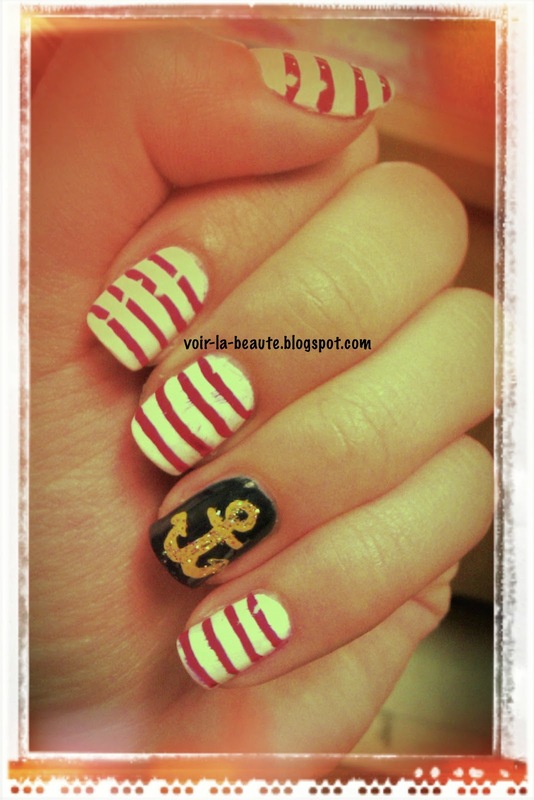 Red and white stripes and an anchor on a deep blue! Hope you have a great Monday/week!